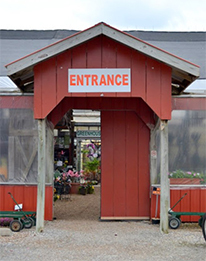 Fall is a great time of year to stop by and see what’s going on at Daniel’s Farm and Greenhouses. The color in your garden doesn’t have to leave with summer! October Harvest! Our main fall event offers all day fun for kids and families. For a small admission price adults and kids can enter into our October Harvest. We have a 1,000 bale straw maze, farm animal petting zoo, wooden fort maze with slide, The Mole Hill slides and tunnels, giant tire swings, pony swings, corn grinders, corn boxes, and much more! All of those activities are included in admission! The Pony Express Train rides and real pony rides (weekends only) are also available at an additional price. Don’t forget your camera! We have lots of great photo opt spots! Many of our activities are undercover; so don’t let the rain stop you from coming! Mums! Add beautiful fall color to your yard for a reasonable price. We have over 10,000 mums to choose from! Colors include but are not limited to: reds, oranges, rust, yellows, bronze, purples, pinks, and whites. We have 100’s of different varieties! Come by and check out our sea of colorful mums! *Daniel’s Farm does not warranty mums. Though we only carry hardy varieties of mums, their chances of coming back decrease the later you plant. If you want your mums to return next year, we recommend planting in August. (Yes, we have them in August and you’ll get the best selection!) Otherwise, use mums to add seasonal color to your garden for a great price! Pansies! Pansies make a great addition to any garden and can last into January. Many people ask about the ‘Icicle’ brand of pansies because they have been marketed as hardy pansies. We sell quality pansies that are cold hardy and available to you for a fraction of what ‘Icicle’ pansies would cost. Trees and Shrubs! Fall is the PRIME time for planting trees and shrubs. As the weather cools, planting trees and shrubs is not only easier on us but the plants as well! Installing in fall gives your trees and shrubs optimal time to establish their root system before spring. Then when the spring rains and warm weather come our way, instead of putting all its energy into the roots, your tree will surge with growth because its root system has already been established. Grass Seed! Fall is also a great time to repair your yard, re-seed, add fall fertilizer, and prepare it for winter. Labor day is the prime time to apply grass seed as you want at least 2 weeks of above 70 degree weather for the seed to germinate. See garden calendar for more information.